any updates on Mb apps loading slow or not at all. also the Distronic system does not always apply brakes when coming behind a stopped vehicle and I have to manually apply them. scares the heck out of me. LI54.30-P-060208 NOV14 – 222 as of VIN A106207 up to A113328 analog clock illumination inoperative, replace clock. LI67.30-P-060191 NOV14 – 217 to VIN 001668 cracking noises from side window during opening & closing, tighten mounting bolts to window lifter to 13Nm. “May” be accumulation of snow, ice, or object obstructing the path of the radar beam nevertheless, have dealer check for fault codes. 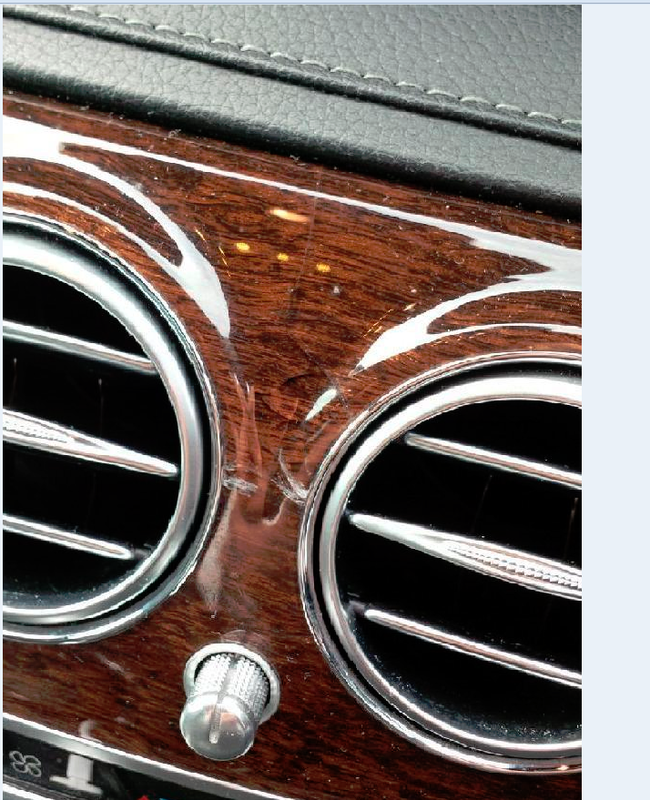 ouch; clock replacement sounds bad.....the whole dash or can they 'pop' those things out? Simply remove wood trim strip. thanks! at the dealer now. LI47.30-P-060423 DEC14 222 check engine light due to software bug (DTC P045100), update emissions control system software. Any illustrations on removing floor of trunk on W222 and just what it might look like under there? Would love to find enough space for a compact spare. Danke! S63 & s550 storage is different as explained here https://mbworld.org/forums/new-s-cla...ml#post6255866 – 550 storage is limited because of battery placement. Service Campaign 2014110002 JAN15 – 2014 222 operators Manual may not be correct or has not been provided, dealer will check and provide. Approximately 24 vehicles affected. Service Campaign 2014120005 JAN15 – 2015 11756, 22, 242 incorrect translation in Operators Manual, dealer will supplement. Approximately 1,136 vehicles affected. 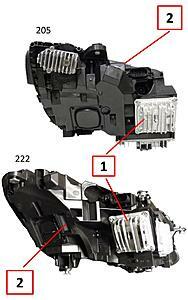 LI91.40-P-059981 DEC14 – 222 up to VIN A120665 creaking noise in driver seat when cornering, grease tensioner mounting. LI77.21-P-060553 JAN15 – 217 up to VIN 004454 Panoramic sun blind rubs on edge of headliner, attach additional retainers. LI46.10-P-060641 JAN15 – 222, 217 squeaking noise from area of lower steering shaft or firewall, replace steering shaft. Looks like you are on top of service bulletins - have you seen anything about re-flashing Distronic control SW? Thanks. LI91.12-P-060890 FEB15 222 w/electric rear backrest/head restraint adjustment (code 223) noises produced by rear backrest rubbing on C-pillar trim and/or head restraint contact with wood trim on rear shelf, properly adjust backrest. LI35.00-P-060851 FEB15 – 222 4matic produced before 10/14 howling or whistling from rear differential @ 50-60 mph, replace rear axle shaft to part 2223507802 (has updated damper). LI82.70-P-060914 FEB15 – 222, 217, 190, 205 COMAND online (code 531) difficult for calling party to understand (can occur with phones from various manufacturers), deactivate WideBand Speech/HD Voice function via Xentry. LI82.85-P-060796 FEB15 – 222, 217, 205 w/COMAND online (code 531) and code 805 when AUTO button on A/C is pressed no change is indicated in central display. Although auto function is active (red LED) instead of AUTO there are digits for air distribution & blower. AUTO may display but disappear sporadically when vehicle is started or screen content changes. AUTO function is not impaired, software remedy expected to be available 5/15. 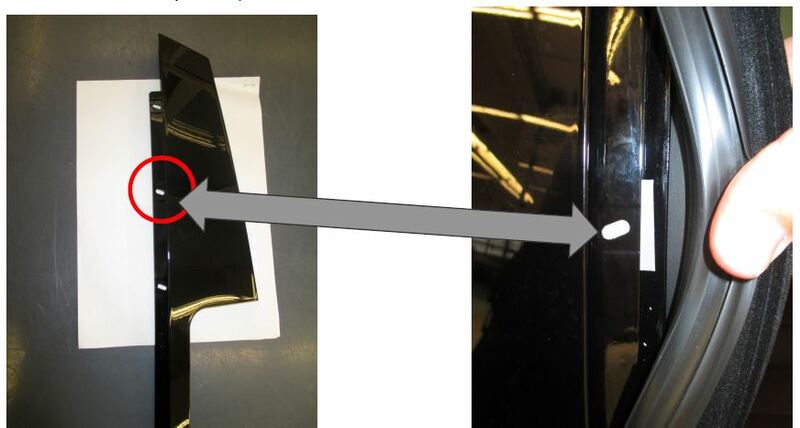 LI72.40-P-060887 222, 217, 205 passenger side outside mirror does not fully return to driving position from reverse drop down position, software remedy expected 5/15. LI88.85-P-060838 FEB15 222 as of VIN 092570 up to 115863, water deflector to fender protrusion, properly adjust to correct position. Last edited by konigstiger; 03-03-2015 at 12:38 PM. This is a great benefit to all owners. Thank you! Have you seen any bulletins on long and medium range radar malfunctions related to Distronic? Do you know if these (I assume Bosch) chip sets can be re-flashed / corrected? Service Campaign 2015030002 MAR15 – 2014-2015 222 / 2015 217 (CL) engine & transmission control module software may not meet production configuration, dealer will update. Approximately 2,411 vehicle affected. LI07.08-P-061035 MAR15 – 222 jolting & shaking at idle no fault codes, update software to engine control and transmission control units. LI47.20-P-061013 MAR15 – 222 / 217 AMG CEL (fault codes P008700, P008A00, P254000) check fuel tank connections if fine, replace fuel tank. LI88.85-P-061066 MAR15 – 222 w/code 413 as of VIN A073262 up to A134154 narrow opening at water deflector to panoramic roof, adjust deflector tabs. LI80.61-P-061174 MAR15 – 222 as of production 4/5/14 vehicle cannot be opened via Keyless-Go (KG), software error in KG control unit new software is being prepared. LI83.30-P-061224 APR15 – 222.004/057/104/157 (Hybrid) AC has insufficient output or none at all, replace HV battery. Refrigerant circuit shutoff valve at HV battery has hairline crack. 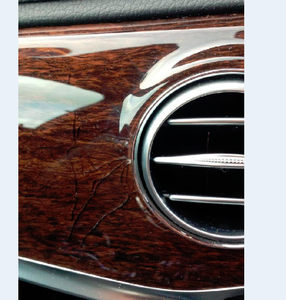 LI6810-P-061133 APR15 – 222 up to VIN 134394, cracks form in instrument panel trim between vents, replace trim. Last edited by konigstiger; 04-07-2015 at 05:13 PM. Service Campaign 2015040001 APR15 – 2015 222 electrical line of the blower motor may chafe and generate noises or fail, dealer will replace blower motor. Approximately 225 vehicles affected. Service Campaign 2015040004 MAY15 – 2015 217 front brake noise, dealer will replace pads & retaining springs. Approximately 25 vehicles affected. LI35.31-P-061268 APR15 – 222 up to production date 10/10/14 rear axle drive train howling noise between 50 & 70 mph, check left side shaft to see if rotary mass has been installed on inner joint. 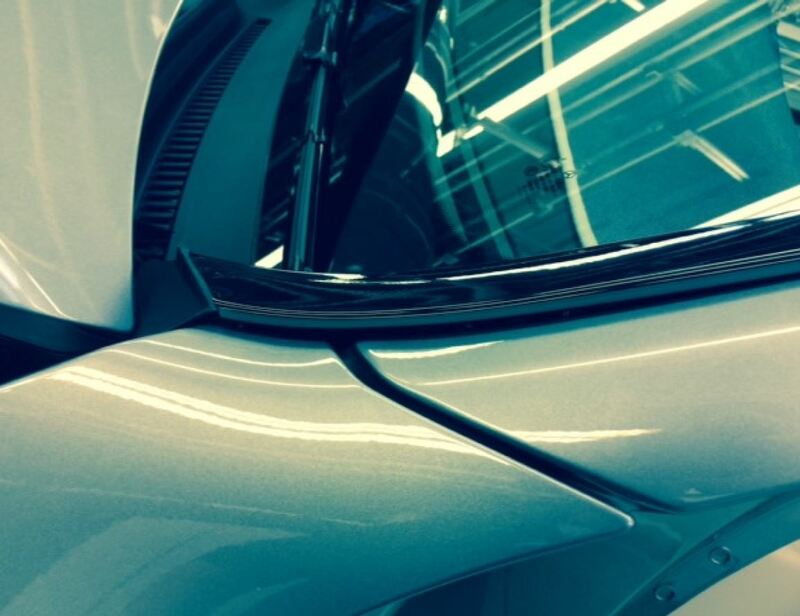 LI72.12-P-061328 APR15 – 222 as of VIN A093576 up to A150539 rear window does not fully close, align as far as possible forward towards B-pillar and up. LI46.10-P-061374 APR15- 222 & 217 ticking noises from driver foot well area, replace lower steering shaft. LI91.10-P-061448 MAY15 – 222 from start production to VIN A120665 multiple remedies to resolve front seat noises when adjusting seat, putting weight on backrest, seat cushion when cornering, and backrest sides when sitting in driver seat. To avoid follow-up repairs, all must be performed in full on both driver & passenger seats regardless of individual complaint. 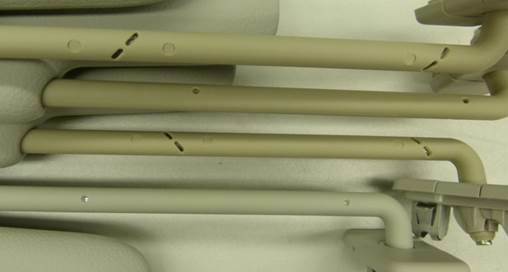 LI68.60-P-061480 MAY15 – 222/217/176/117/156 production 10/1/14 up to 3/31/15 sun visor axles could become discolored over time noticeable when visor is extended. Only gray (Greige) & beige (Porcelain) are affected, replace sun visor. 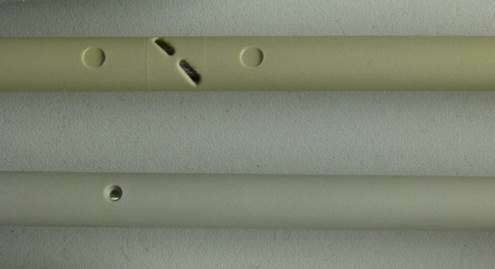 Due to a change in sub-supplier, unsuitable material was selected (see pictures below). LI32.50-P-061529 JUN15 – 222 with ABC (code 487) vehicle rocks 6-10 mm when stationary, transmission “D” engaged and engine running. Perform new SCN coding of ABC control unit, then calibration of plunger travel sensors and load calibration. Service Campaign 2015050004 JUN15 – 2014-2015 222 AC may malfunction due to a failure of electrolyte capacitor in the radiator fan control unit, dealer will check production date of fan and replace if necessary. Approximately 10,458 vehicles affected. 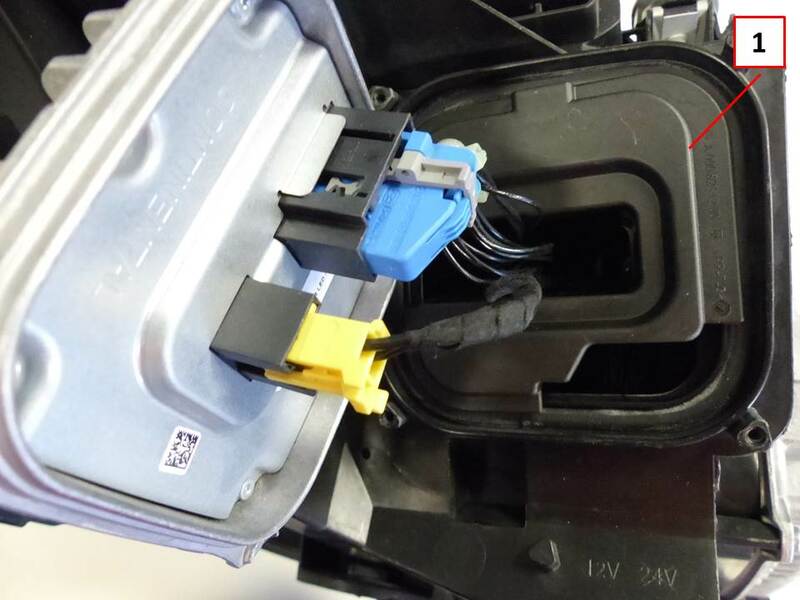 LI54.18-P-061568 JUN15 – 222, 166 with 642.8 engine intermittently reduced power after ignition cycle the complaint is no longer reproducible, Xentry diagnostics no component faults inspect contacts at engine control unit and connections to relevant sensors. LI47.40-P-061657 JUN15 - 222 Maybach check engine light with dtc P254000, perform SCN coding to fuel supply control unit (FSCU). LI91.12-P-061755 JUN15 – 222 with individual rear seat system (code 223 or 224) creaking and squeaking noises when the rear backrest is loaded on the door side, slacken the bolted connection of backrest frame. LI91.00-P-061754 JUN15 – 222 (code 232 + 224 + 305) active belt buckle (AGS) control unit detects blockage and aborts normalization sequence, following settings must be made to both left & right seats to assure normalization is successful: Move rear seat cushion to foremost position, move rear backrest to rearmost position. Li91.10-p-061808 JUL15 – 222 with code P07 between VIN A171628 – 176301 snapping noise occurs when footrest on front passenger seat in rear compartment is adjusted, adjust linkage. 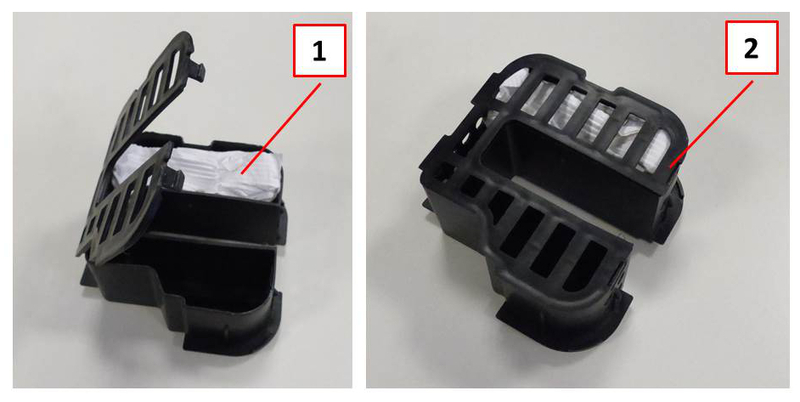 LI91.25-P-061810 JUL15 – 222 with code P64 (memory) without code 432 (multicontour seat) lumbar support position saved is lost after ignition cycle, replace lumbar support control units. LI07.70-P-061851 JUL15 – 222/217 with M278 and B03 Eco Start Stop engine shuts off at 5 mph and is restarted, update software for MED177 & PTCU. As always, great info! I know you've been kind enough to do this for years here on MBWorld...thanks. Service Campaign 2015070003 AUG15 – 2015 217 (s-coupe) clattering noises at catalytic converter, torque at bolts not to spec dealer will replace bolts. Approximately 58 vehicles affected. Service Campaign 2015080004 AUG15 – 2016 Maybach additional rear seat pillows were not included when vehicle left plant, dealer will add pillows. Approximately 388 vehicles affected. 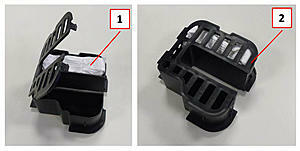 LI82.10-P-062051 AUG15 - 222, 217, 218, 205 with code 640/641/642 (LED dynamic headlamps) condensation on lens, check housing cover for natural fogging or condensation. If reduction in the degree of fogging is visible desiccant packs can be used once condensation has evaporated. If no reduction is visible, lamp unit is defective and must be replaced. On new lamp unit service cover with desiccant pack must be installed. 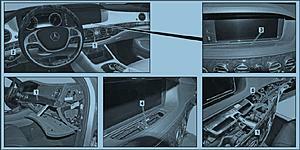 LI72.12-P-061832 AUG15 – 222 as of VIN 192591 up to 199423 cracking noises when closing rear door side window, apply lubricant in area shown (last image). man, this sounds like a wrongful death lawsuit waiting to happen? Service Campaign 2015080005 SEPT15 – 2014-2016 222, 2015-2016 217 cannot unlock or start using Keyless-Go, dealer will update KG control module software. Approximately 31,837 vehicles affected. LI46.35-P-062292 SEPT15 – 222, 217 4matic pulls to left or right, reset taught-in values in steering control unit. If after test drive complaint still exists, open MB PTSS (technical support) case. LI82.60-P-062334 OCT15 – 222 AM reception is disrupted when braking, replace additional brake lamp using Q06 part. Last edited by konigstiger; 10-08-2015 at 02:06 PM.